Let's chat. Want me to give your employees the skinny on the importance of inclusion in sales/marketing? No problem. Trying to figure out how to educate your students on inclusion in marketing? I have you covered. I am willing and able to make difficult conversations about diversity enjoyable and engaging. The Multicultural Marketer is the brain-child of Professor, Marketer, Social Justice Advocate, and Speaker, Sue Lucas. As a Professor, Sue has been engaging students by bringing social justice into the marketing conversation for years. In viewing marketing through a societal lens it becomes clear that it has the power to change perceptions and even alter reality. Minority groups are being included in more marketing strategy than ever before, and it is important that we embrace this movement. You see…putting a gay person, a female, or a person of color, etc. into mainstream marketing is no longer enough. Marketers need to make heartfelt connections with minority communities if they want to survive a crowded marketplace. It is The Multicultural Marketer’s goal to help your business, employees, and students understand this awesome responsibility and how it can change your bottom line positively. And since The Multicultural Marketer is also a self-professed “nerd”, other marketing news and developments that are outside the realm of the multicultural are always up for discussion! Sue has the background ethnically and experience in education in the marketing field to be able to talk about these things in a unique and exciting way. I think a lot of people really benefited from Sue’s presentation! She kept the audience engaged and captivated! We don’t get facts anymore…and Sue was really good at bringing that in. 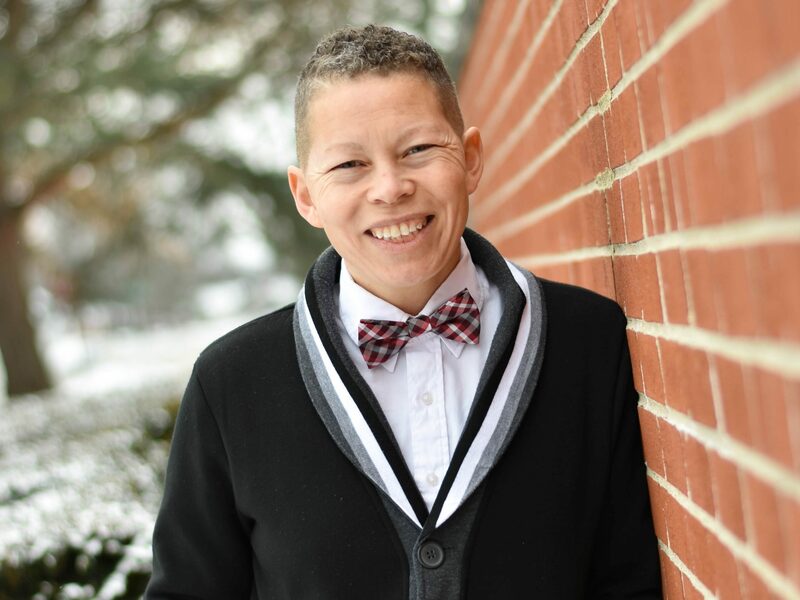 Being Gay and Teaching at a Quaker College June 2, 2019 Cincinnati Friends Meeting, 8075 Keller Rd, Cincinnati, OH 45243, USA Recent developments in the United Methodist Church have caused other religious groups to look for ways to show acceptance and affirmation of members of the LGBTQ+ community. I will be sharing my unique perspective as a faculty member at a Quaker College.